A New York comedy of manners set in the Forties, it concerns a married couple comprised of a famous playwright and her husband, an academic who labors at his specialty in obscurity. Powell is one of the better comic writers we've had --a spikier Edith Wharton, shall we say--who provides momentum, atmosphere and rich, crackling dialogue in this many -charactered satire. This would be the sort of novel Tom Wolfe has been trying to write for years. We have here a situation where the fortunes of famous wife and unknown husband are suddenly and realistically reversed, a turn that reveals the shallow relations and loyalties, tied as they are to one's fortunes. Or lack of them. Fittingly, there are no actual heroes in this satire--even those who achieve much after a time of ironic and unfair adversity remain wholly human and subject to the fallible instincts of an egocentric world view. 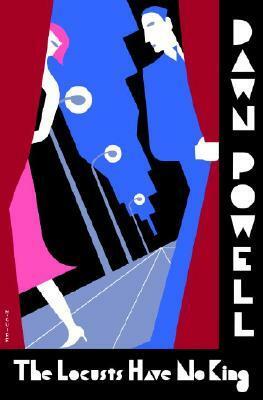 Dawn Powell is a joy t read. I was not entirely a progressive rock fan during the 70s when the genre was at its peak and the music of the bands in this volume was at it's...busiest. I loathed the singers for the most part, thinking that while the frontman had decent enough voices, suitably trained to negotiate the usually overheated song structures, I could stand them rarely a whit. Save for Peter Gabriel of Genesis (and later as a solo artist) , the lot of them sounded over-earnest, wide-eyed with wonder, strangulated high notes offering the would be the wisdom of righteously and insanely stupid lyrics. I always had a wager with anyone who knew Wallace Stevens or John Ashbery well enough, or The Bard for that matter would feel compelled to harm themselves as a means to relieve the disgust that overwhelms them. On the other side of this genre, though, was a generally good musician and an honest desire to extend rock's instrumental bearings toward more complexity. Yes, ELP, Pink Floyd, Jethro Tull, King Crimson, Genesis all moved in this direction, at best being brilliant wit the snap and zip of odd time signatures, odd keys and ensemble stretch consisting of many moving parts. Brief, lyrically written novella about an awkward young girl being raised by an eccentric family. Note that there is no child abuse or other hot-button stuff engineered in to make the book appeal to the Oprah book clubs, just a humorous and bittersweet novel of a girl, beset with any number of glum circumstances and embarrassments, maturing to a resilient adult with soft irony that gets her through the day. 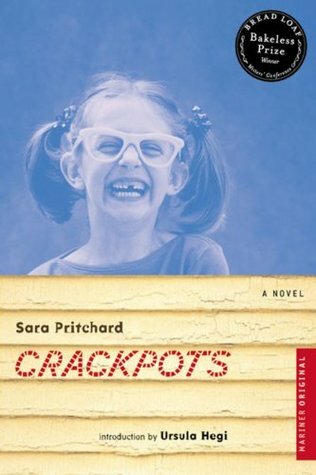 Pritchard is especially fine as prose stylist who displays a sure and intuitive sense of to change tone, shift perspectives, to blend the rush of poetic effusion and the dirty fingernail reality that faces these characters and this young woman; Pritchard is about understated nuance and working against reader expectations.